Places you love. Reviews you trust. 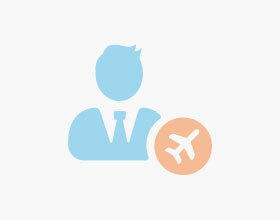 Select keywords to find your Travel Agency. I've worked for Uniglobe before and they are a great company! On a beautiful sunny day, come take in the perfect instagram moment! Beautiful fountain and sign in the middle of a large public square, in front of the city government buildings. Just right with benches in the shade as well, for a brief respite from your sightseeing walk. Beautiful and gorgeous island with amazing people. However, beware of a large local guy with a baby monkey. He will forcefully hustle you by putting the baby monkey on your head and want to take a picture for money. He is also with a Hispanic guy overseeing the hustle. The monkey is not well taken care of as his diaper smelled of urine and the robust guy did not treat him well/speak well to the baby monkey. You MUST VERY forcefully say NO and continue to walk away!!! My wife and I visited for the first time recently joining friends who are long-time visitors. Our visit was marred by two issues. Sewage was bubbling on to the streets -something we have never seen before. We were puzzled by the lack of urgency by local officials - businesses remained open in the immediate area including a food store , restaurants and even a food truck! Best of luck to the new government. Second, while in a roundabout a car behind us crossed over two lanes and drove into us. Police arrived talked to both drivers and left. There weren't any photos taken that we saw. Weeks later we were informed by the insurance company that we were at fault!! Bye-bye Barbados. Helpful to the extreme. If you're planning a visit to Korea and need help, give them a call.